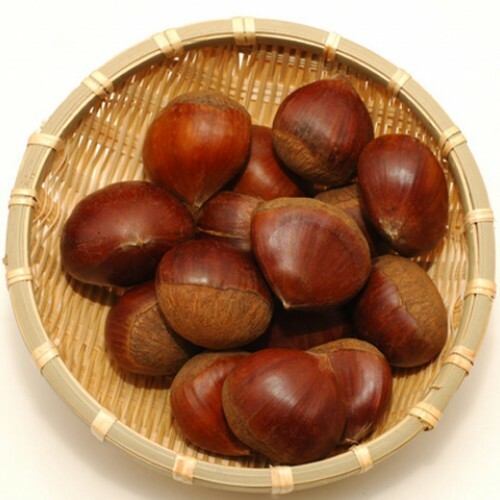 The Japanese chestnut has some of the largest nuts in the chestnut world some weighting in at 8 nuts per pound. Our seed selection represents a hybrid called 'Tanzawa' which is known for its resistance to blight and chestnut gall wasp. The seedlings have been vigorous for us in our field plantings and like the European chestnut hybrids show no signs of blight. The Japanese chestnut we offer is different than our Korean chestnuts but most would not separate the two botanically. The root systems on these tend to establish quickly in dry field conditions. Part of this is due to hybrid vigor but also this species is a mountain species able to reproduce is less than ideal soil conditions. It is one of the few chestnut trees that did survive the low or no watering system I had set up when out planting. Will cross with other chestnuts easily. No shipment to CA, WA, OR. Self infertile. Needs two plants. One of each or two or each will work. 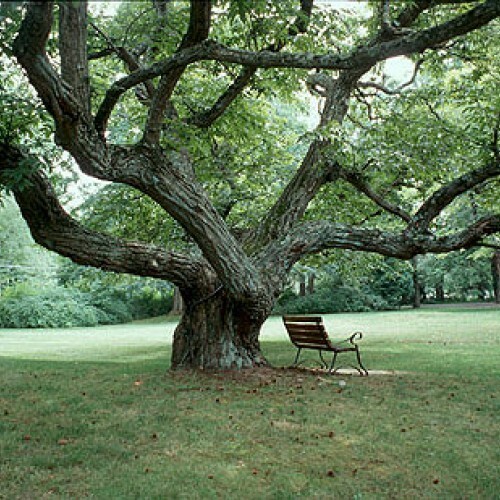 Other chestnuts will cross with it including the European types. Establishes quickly and grows in dry soils well. Fruits quick from seed. Good blight resistance.